With zero friction you and your team can prepare for pending regulation, hit the ground running, and take control. We integrate your existing data from spreadsheets or internal systems and provide personalized training and support. 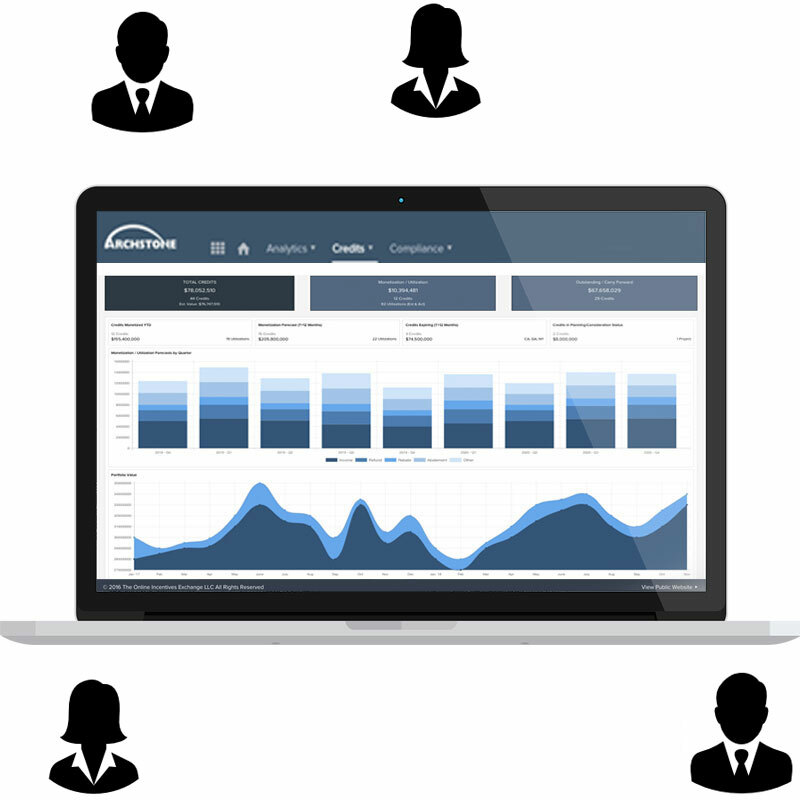 Once onboard, all of your forecasting, analytics, workflow, compliance and reporting needs are centralized. Tools help you streamline internal/external processes to collaborate with your team and outside partners/advisors. The world is taking notice of how OIX software, which is specifically architected to address government incentives, uniquely assists companies streamline their C&I process. OIX clients hold irreplaceable knowledge about this emerging asset class and are increasingly becoming a critical component of corporate planning and finance. OIX technology enables these professionals to demonstrate their capabilities and contribute directly to competitiveness and profitability.